It can be pretty frustrating as a Linux user when you are asked to use Micro$oft based tools which never support Linux (unnecessarily in my view). 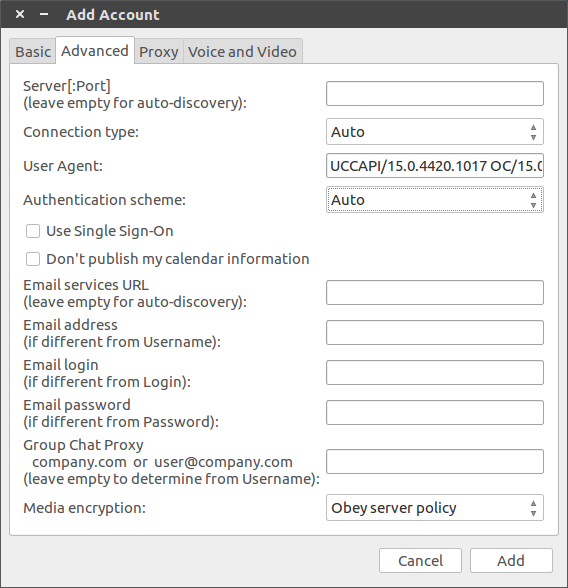 At least with Skype-for-business (formerly Lync and not to be confused with "normal Skype"), we can configure the Pidgin chat client to use the same protocol in order to be available for instant messaging. You won't be able to make VoIP calls though. 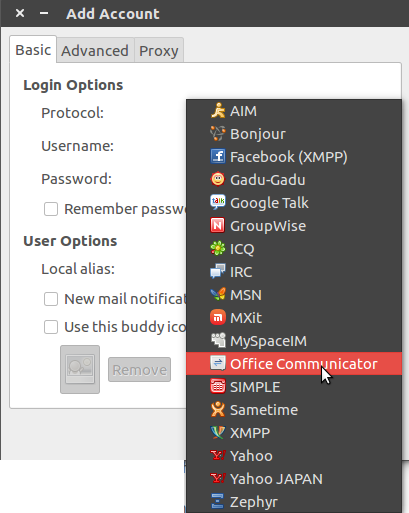 Install the pidgin-sipe extension which we will be using. 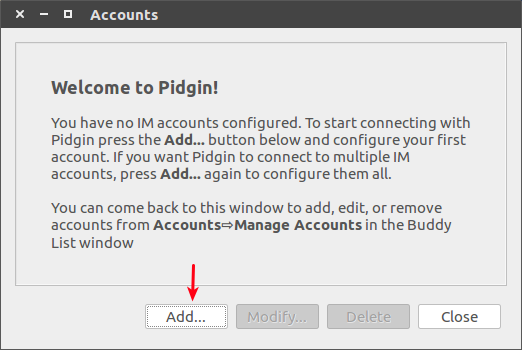 If pidgin is already running, kill it and restart it after having installed the package. 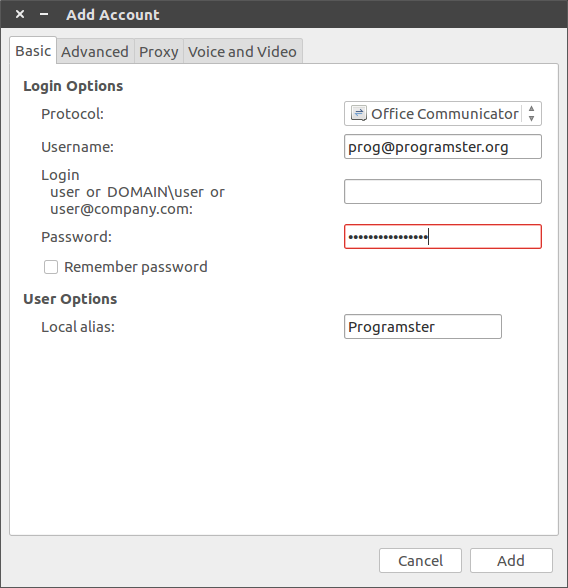 In the Basic tab, fill in your Username, Password, and optionally, your Local alias. Do not fill in the Login field. And leave the other fields as shown below before clicking the Add button. You will then be shown the Accounts window. 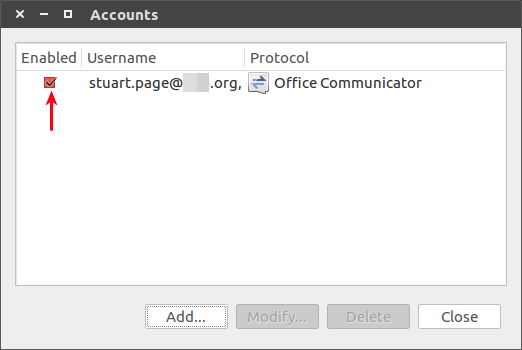 If your settings/credentials were correct, the Enabled checkbox by the account you just added should remain checked. If it unchecks itself, then a setting or your login credentials were incorrect.